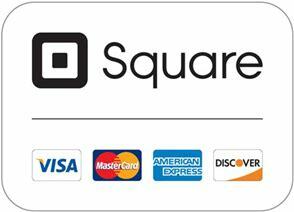 CLICK on the CUSTOMER REVIEW TAB CHECK OUT what everyone's saying about Randal Jon. WRITE A REVIEW Tell others about your impressive experience at RANDAL JON SALON. CLICK 24/7 on this "BOOK NOW" TAB to Make A Hair Appointment with HairStylist Randal Jon. Uncover your own unique style. Follow the instructions. If you have a situation, question or challenge about something that your really struggling with, improve Consulting and Communication Skills with New and Returning Clients, Build a Professional Relationship with the many personality types of Clients you meet, learn to Stand corectly improve your body positioning while working, figure out what your purpose in the Cosmetology Industry is, Improve cutting, coloring, Texture Wave methods and other skills. "For Hair Color that's Virtually Damage Free"
Add Color with Complete Confidence. 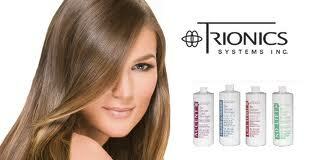 Randal Jon's Hair Colors are "Virtually Damage Free," diving in with TRIONICS Sea Kelp Plant Based Enzyme Developers. infused with RUSK Deep Shine Marine Therapy, all blended in Advanced Pure Pigment Conditioning Color Cream. For Alluring moods and enticing professional hair color style appeal. Use Extraordinary EliXhair Products for the deepest shine health and manageability. Exclusively available at the Randal Jon Salon. 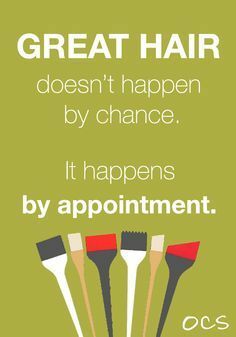 Book Now 24/7 at the Randal Jon Salon. A Breath of Fresh Hair. Get 5 Star Celebrity Style! Acquire an impeccable Haircolor, Haircut and unequaled Elixhair Products at this Santa Monica hair salon! Enjoy the relaxation and privacy of a friendly one-on-one visit, with the many years experience of Randal Jon. His Private Studio Suite is designed with your individual style and tranquility in mind. Relaxing never looked so good! So Get Inspired! Click on the Green Tab below to read the "Genbook Verified Customer Reviews" See what the many satisfied professional clients going to Randal Jon, have to say about his integrity and service quality. Enjoy the trust you'll feel after a complete consultation to begin your hair service. You'll know you've been heard while consulting about your hair, because Randal Jon will discuss your style, until you are both clear about the desired look of choice. Randal Jon's extraordinary hair colors are "virtually damage free" with Trionics plant based enzyme developers formulated from a sea kelp. They're free from Hydrogen Peroxide & Ammonia, and give full grey coverage. Randal Jon is undeniably known as one of the very best hair colorists, and Internationally trained master with a pair of shears. It's truly one of the very best Santa Monica Hair Salons. Randal Jon specializes in classic cutting styles to the avant-garde. You'll get optimum communication from Randal Jon, besides receiving the very finest in comtemporary hair design, you'll find that he knows your hair, shows you how your design works, conveys secret styling techniques that show you how to work your own hairstyle, and keep you looking your very best, long after you leave the salon. CLICK HERE on the GENBOOK & YELP tabs above and leave a review letting others know about your Experience at the Randal Jon Salon.